Who Is Most Helped By Federal Spending? R.J. Rushdoony: 00:01 Who is most helped by federal spending? This is R.J. Rushdoony with a report on our threatened freedom. R.J. Rushdoony: 00:10 Recently, Thomas Solo, a brilliant economist, who is black, called attention to the fact that money taken from the taxpayer to help the poor does not all go to the poor. In fact, Solo pointed out, every person who is below the poverty line could be lifted above it by one-third of the amount actually spent on poverty programs. R.J. Rushdoony: 00:35 In the black ghetto of Washington, D.C., the federal government spends almost $46 million when it collects $50 million in taxes. So that this ghetto loses $4 billion a year on net balance. Now, what is true of the Washington, D.C., ghetto is true also of the United States as a whole. Whatever the purpose of an appropriation, the major beneficiary is the federal government. The one thing certain is that when funds are appropriated for any cause, some federal agency will be the main group to prosper. R.J. Rushdoony: 01:16 In at least one city, politicians have spoken against the high cost of administration in one or two private, charitable organizations. The truth is that the agencies of state have the highest operating costs. R.J. Rushdoony: 01:32 In 1890, Mark Hannah wrote a letter of rebuke to a young Republican prosecutor from Ohio, saying, quote, “You’ve been in politics long enough to know that no man in public office owes the public anything.” Unquote. R.J. Rushdoony: 01:50 Since Mark Hannah’s days, politicians have learned better than to talk that way. Most of them drip love for the people in their public statements. All too many of them, however, still act on Mark Hannah’s assumption. R.J. Rushdoony: 02:07 The fact still remains that the federal government is the main beneficiary of all its programs. Not the people. Less and less is it government of, by and for the people but more and more we are getting government of, by and for the federal bureaucracy. R.J. Rushdoony: 02:24 We once had a remarkable president. This was a long time ago. Named James K. Polk. During the 1844 campaign, Polk promised to do five things. Acquire Texas and California, settle the Oregon dispute, lower the tariff, establish a sub-treasury and retire from office after four years. He did all those things. He kept his word to the voters. And so we have forgotten him. R.J. Rushdoony: 03:02 Polk vetoed the use of public money for local and individual interest. And he left office with a treasury highly solvent and on sound basis. This does not mean that all Polk’s decisions were the best. My point is that Polk worked, not to build up the federal power but the freedom and prosperity of the people. R.J. Rushdoony: 03:25 He did not promote himself but acted as the people’s watchdog. He made the people the beneficiaries of his administration, not the federal power. Civil government on every level has become too big. It has grown fat on our money and at our expense. It has become a threat to our freedom and a danger to our paycheck. It is time for a change. 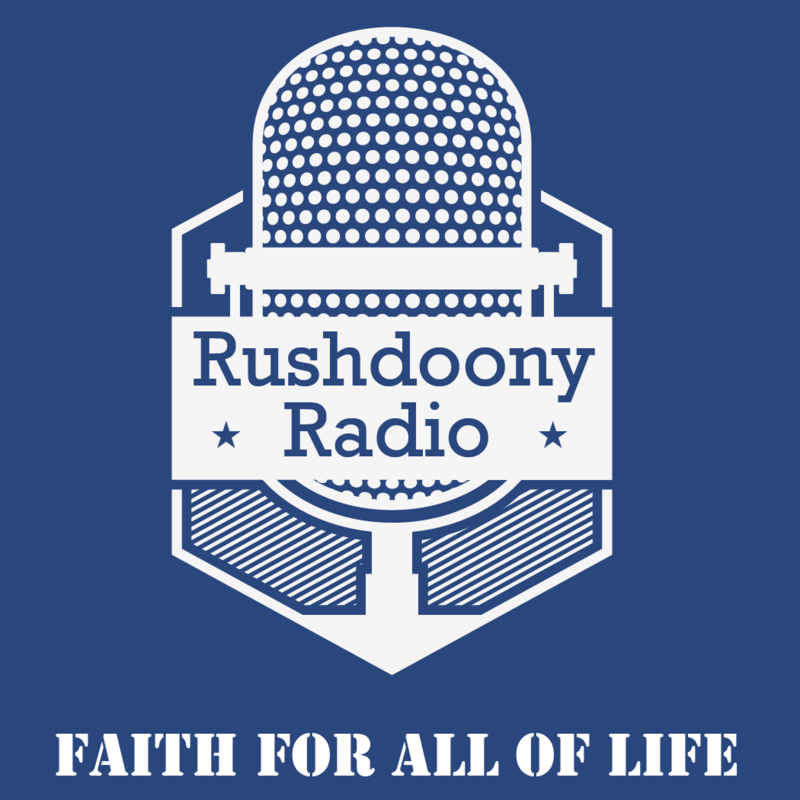 R.J. Rushdoony: 03:57 This has been R.J. Rushdoony with a report on our threatened freedom.